"The May" prides itself on the quality of our key duplication. 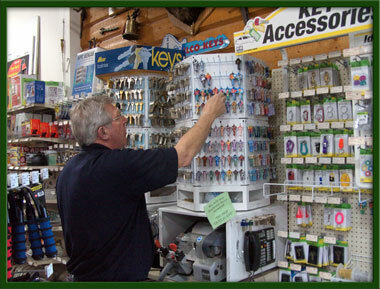 The keys you have made here are not your typical hardware store keys. Having a qualified full time locksmith working for us and investing in top of the line key duplicators means that you get a key that WORKS! We use either original key blanks or a very high quality blank to assure an even greater level of satisfaction for your key needs.